You might think that a flood could never happen to you, so why do you need NH Flood Insurance. In fact, flooding is the most common and costly natural disaster in the United States, and you don’t need to live in a high-risk area to be threatened by flooding and need NH Flood Insurance. From coastal storms, to rain-swollen rivers, to backup from clogged storm drains—water finds its own path and can reach you regardless of where you live, and it is not covered under a New Hampshire Home Insurance policy. Remember the Mother’s Day Floods NH May of 2016 that dumped anywhere from 10 to 20 inches of rain? That storm changed how banks and other lenders view NH Flood Insurance, because there where so many homes affected that did not have coverage. 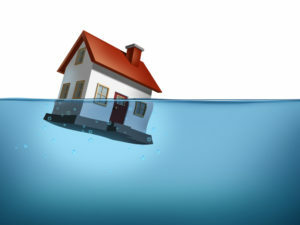 Don’t let your house go under water without flood insurance. Without NH Flood insurance, you could be out tens of thousands of dollars. A flood can destroy your home and your financial security – but not with Manchester NH Flood Insurance from Germain Insurance. From 2010 to 2014, the National Flood Insurance Program paid out an average of more than $42,000 per claim. But flood damage doesn’t have to drain your bank account. Germain Insurance believes Flood insurance NH can offer you financial protection and peace of mind knowing that you’re covered by a flood insurance NH policy for either your building, personal property, or both. Protect what matters, with flood insurance before the next storm. Floods can happen in a matter of hours, and typically there’s a 30-day waiting period for a NH flood insurance policies to take effect. Act now and get flood insurance before it’s too late. Contact Germain Insurance today at (603) 606-1895 or email us at Info@Gfiallc.com, and let’s talk about your flood insurance needs. Don’t let a flood wash away your financial future.